Most people take Vitamin C to fend off a cold, but new research suggests it could also be a possible weapon in the fight against cancer. A team of researchers at the University of Salfod in England evaluated seven substances – Vitamin C, two natural products, and four experimental cancer drugs – on their ability to block the growth of cancer stem cells, which inhibit chemotherapy and help tumors spread throughout the body. They found that Vitamin C did block the growth of cancer cells; in fact, it was 10 times more effective than one of the pharmaceuticals, although it was outperformed by two experimental drugs. The findings were published in the journal Oncotarget. The finding adds to previous research indicating that high dose vitamin C treatments could slow the growth of cancer cells in the prostate, liver, and colon. Vitamin C is cheap, natural, nontoxic, and readily available,” study co-author Michael Lisanti tells ScienceDaily.com. “To have it as a potential weapon in the fight against cancer would be a significant step. When you add to this, the incredible abosorption of Liposomal Vitamin C, the decision is really a non-negotioable in our toxic world today. Cancer remains one of the leading causes of death worldwide. According to the World Health Organization (WHO), the disease is the second most common cause of death and disease around world, accounting for nearly nine million deaths this past year alone. Data shows that new cases of cancer are expected to surge by around 70 percent in the next two decades. According to researchers, Liposomal Vitamin C starves cancer stem cells by blocking a process called glycolysis. The process is responsible for glucose metabolism, and inhibiting it prevents the mitochondria from gaining essential energy for survival. Using vitamin C as an add-on treatment to chemotherapy may show potential in stemming tumor recurrence and further progression of cancer. vitamin C produces hydrogen peroxide. This molecule is a powerful oxidant and is very toxic to cells – especially cancer cells. Not only is this correct, but it begs the question about why food grade hydrogen peroxide therapies are frowned upon – But that is a topic for another day. During a follow-up in 1978, the team found that all patients in the control group died of cancer, while 13 of those who took daily doses of Liposomal Vitamin C survived. In addition, 12 of these patients exhibited no further signs of the disease. Many studies that followed conclude that Vitamin C, at more than 5,000 mg per day, provides optimal protection against cancer. 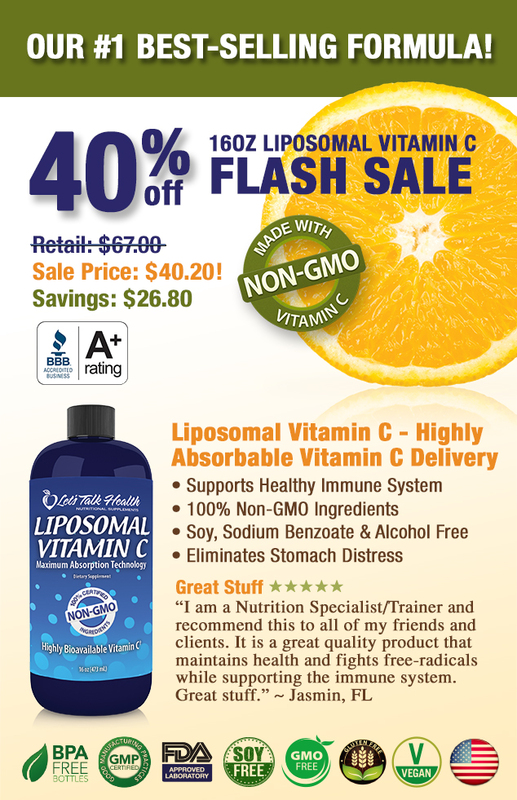 I personally take 6-10 grams of our Liposomal Vitamin C every day. This may be your opportunity to be proactive in your approach to improving your health and avoid becoming another statistic. 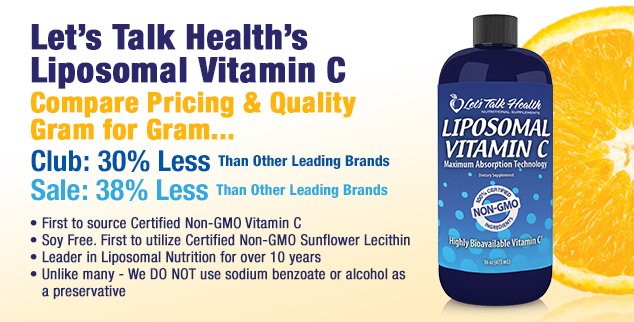 While we are not claiming a cure for cancer, we are suggesting that the research indicates a clear roadmap for the efficacy of Liposomal Vitamin C.
Now you know why we are so excited about our best selling Liposomal Vitamin C. The absorption level of Liposomal delivery far exceeds traditional capsules and liquid forms of this critical nutrient.